Life can throw curve balls. Sometimes those balls hit between the eyes and knock a person out cold with the intensity of the impact. Being hurt as a child has ripple effects: when a child is hurt, not only is immediate pain felt, but the world becomes a less safe place. Maybe even a dangerous place. That shapes a child and has that child respond differently to the world, long after the original wounds have had a chance to heal. Much longer. One or both parents are alcoholics. The use of alcohol has them flying into blind rages causing children to hide and scatter. Or s/he falls into a drunken stupor, forgetting to go to work, make supper, or tuck a child into bed. Alone and frightened in a world where the rules of the house tilt and the consistency of care and safety is gone, the child does the best s/he can to cope. It's amazing how well these kids do, but the strategies that worked as a child get carried over into adulthood...and then, not so much. These kids are survivors, but there can be a hidden cost. Being violated and having boundaries crossed while very vulnerable creates a topsy turvy world. Often the perpetrator has created a position of trust so the child trusts and allows abuse to happen. Being hurt by someone who expresses caring is confusing. Sometimes the child is able to tell someone they are being violated and hurt--with further disappointment. Maybe the person they told told them to hush, or didn't believe them, or simply seemed to not hear at all. Watching one parent hurt the other, or watching a parent hurt a sibling, or experiencing violence themselves is devastating. Almost every adult I know that has been bullied remembers the name of the bully--even when it happened 6 or 7 decades ago. Being bullied, ridiculed, mocked, intimidated, and/or beat up are memories that haunt. Like witnessing violence in a refugee camp or moving from one country to another. Having a parent with a significant mental illness that impacted on how they were raised and more. Trauma is a very significant challenge that creates a trauma response in the individual. The type of trauma can have as many variations as there are people. These traumas are difficult to experience...and so people develop survival strategies to cope with these difficult symptoms. However, often these survival strategies create "collateral damage"...the ripple effects of working hard to cope with the trauma creates its own problems. You get the picture. Trauma creates a traumatic response. The traumatic response requires some significant and immediate coping strategies. These coping strategies may themselves be painful or may be inadequate to deal with the triggers and the pain of that which was traumatic. Counselling can be one effective strategy to look at the original trauma. It can help deal with the power of the trauma, unhook you from unhealthy/maladaptive coping strategies, and free you to be the person who you were created to be. We recognize that it is vital to create a counselling environment that won't be retraumatizing, but rather be a place of healing and restoration. Our therapists would look forward to working with you. Some of our therapists are trained in EMDR (Eye Movement and Desensitization and Reprocessing) , which is helpful for many with traumatic memories. When you ask for an appointment, let our staff know you are interested in EMDR. A car accident, a sexual assault, witnessing a family member be severely hurt...something that felt very dangerous and threatened your safety or someone very near to you can cause a traumatic reaction. 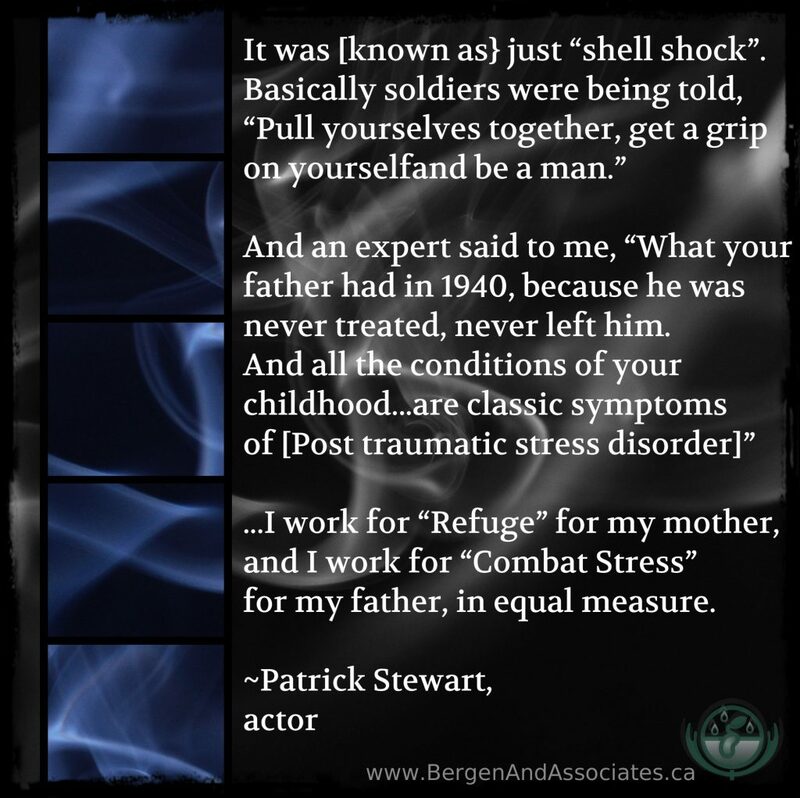 A trauma response then occurs when your body is reminded of that experience and you can find yourself with a pounding heart, a flushed face, tight chest, sweaty palms, and that scared feeling in the pit of your stomach. You may find yourself avoiding people and places that trigger that set of feelings that can feel so frightening. Finding yourself affected by a tragedy or near-tragedy, a crime or something frightening is very normal. It would be abnormal to be unaffected by it. Many will be tearful, have some nights where they dream about it or sleep poorly. However, with the support of friends and family, returning to regular routines, and taking good care of oneself, many will spontaneously find their symptoms resolving. The world becomes a much scarier place as you recall the feeling of danger and fear...for some that feeling can start to take over and limits your ability to live your life. When a response to what feels traumatic to you begins to take over your life, you may want to investigate resources like a counsellor/therapist to help you process what has happened.